The “If this is the frame” campaign has been running successfully since 2002 in full- and fractional-page sizes. 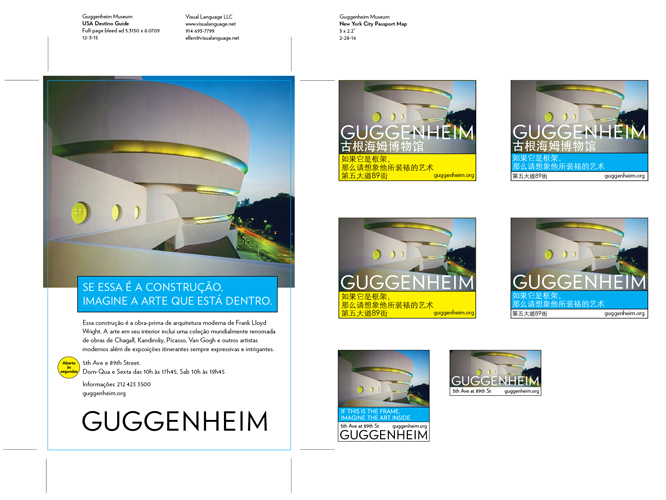 The latest iterations are typeset in Portuguese and Mandarin. Every few years the logo and creative are refreshed. 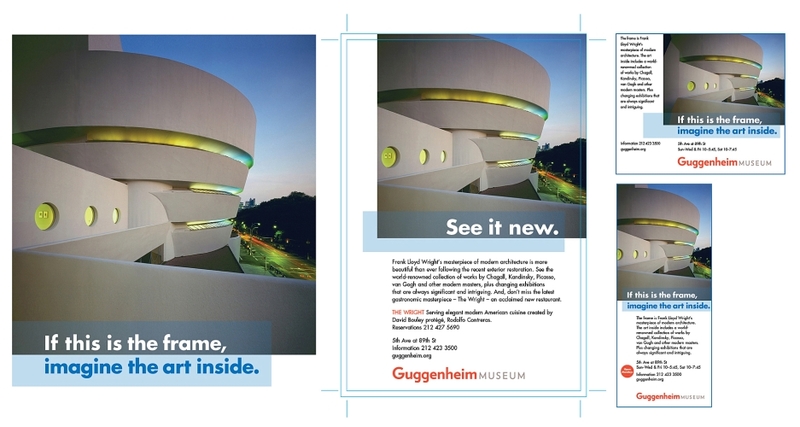 An earlier campaign to bring new audiences to the Guggenheim included a direct mail package that was the museum’s most successful membership solicitation to date. Our research showed that art lovers most appreciate receiving invitations to black-tie openings. 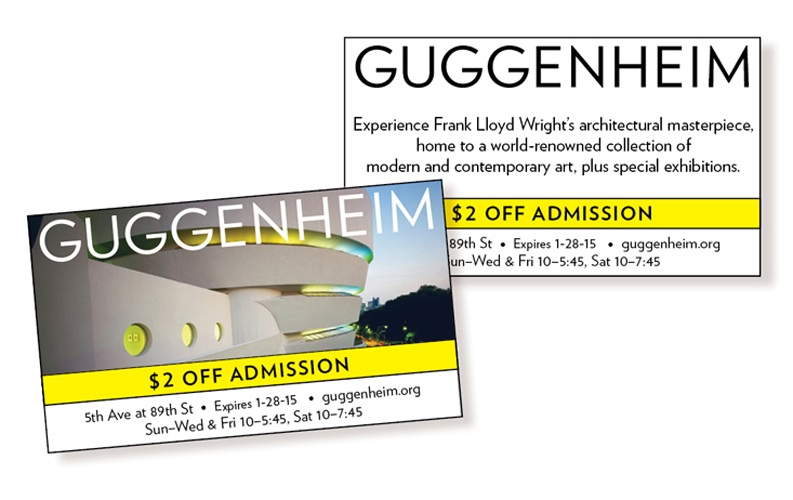 We developed this event invitation that includes, for a modest donation, a one-year membership. This concept has been widely imitated by other museums.